Happy November to my dear blog friends! Every week, I join Sandi at Rose Chintz Cottage for her tea party. Which is one of the reasons you see so much tea here. But I'm excited that she is changing her party from Tea Time Tuesday to No Place Like Home, a blog party where we can share all things home-related. Whew! I have a lot of teacups, but I was running out of ones to share. Okay . . . I haven't completely run out. Here's my new (to me) Royal Albert November chrysanthemum teacup. In honor of this new focus, I'd like to share some of my own thoughts about home, and specifically, why I have chosen to be a homemaker all these years. 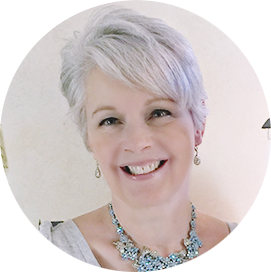 I gave up a career as a technical writer when our first child was born because I wanted a slower, more home-centered life for myself and my family. I've never regretted it. I've always thought that a home should be a sanctuary, a place of respite from the storms of life, a shelter for our loved ones. There's a lot of beauty and goodness in the world. I try to take the time to look for it. But we all know the world can also be dangerous, harrowing, stressful, and lonely. Besides the wider conflict and issues, our own days can be filled with rude and unkind co-workers, traffic snarls and delays, looming deadlines, pressures to perform and conform, and a myriad of other stressors that deplete and weary us. When my loved ones, both family and friends, enter our home I want them to feel that, for the time being, they can lay their burdens down. That they are welcomed and loved, pampered and fed. Some of the ways of doing this include cooking lots of favorite, homemade meals, putting fresh, clean sheets on the beds, arranging flowers and candles on the dinner table, and building a cozy fire in the evenings. But these aren't the most important things. When push comes to shove, it's always better to order pizza or scramble some eggs, and spend the time and energy saved listening and loving. This is one gift I feel I have been able to give by being at home. The gift of time. Children and friends need a listening ear. Even more important than delicious, home-cooked foods or nicely decorated rooms, is a mom and friend who takes the time to sit and really listen. Not to lecture or advise, but just to listen. Yes, beautifully arranged flowers, softly glowing candles, freshly baked muffins . . . these are a privilege for the homemaker to provide, and they add a wonderfully homey touch. But it is time and love that most make a home. I had to be on bed rest for all my pregnancies. One Christmas, when I was pregnant with our second child, I was unable to do any decorating or baking at all. I remember sitting on the couch with our three-year-old daughter, looking at the Christmas tree, hastily put up and decorated by my overworked husband, ornaments crooked and unevenly spaced. I could see hairballs from our golden retriever gently scudding across the hardwood floors. Dinner had been canned soup. I had no idea what shape the kitchen was in or how much laundry was piled up (so thankful for a faithful husband and friends who lent a hand). I told myself that, Lord willing, I would have years to cook and clean. Right now wasn't the time. My daughter didn't care about fancy cookies or neatly stacked piles of clean laundry anyway. She was just happy to have my undivided attention there on the couch, to have a mom who wasn't distracted by all the details of daily life. As evening fell, we sat with my husband in the darkness looking at the twinkling Christmas lights. Cuddled together, we told stories and sang Christmas carols. We relaxed into the deep peace of home. I have thought of that Christmas many times since when I have gotten myself all stressed about having things "perfect." What's that saying? "People don't care what you do, but how you make them feel." This is home to me. Not perfection, but comfort and safety and love. Joining Sandi for No Place Like Home. This is a lovely post, a good reminder as we head into the busiest of seasons, although it should be a time of reflection of the Creator of the Universe coming in the flesh to rescue humankind. There is nothing like being quiet, not perfect, and simply enjoying each other's company and reflecting on all our blessings. Lovely Deborah. It's so nice to get to know you even better! We are so blessed, and this is such a wonderful season to take stock and reorganize our lives and priorities. I love the teacup...I'm sharing the same one next week...how can we not?! Love your cup and saucer for November and your thoughts were great. I have lived with so much mess lately since we closed our store and retired. Actually, it was getting better until we had new replacement windows installed and that has been a 3 week mess waiting for the day. I am so glad to get that behind. You have lots of good tips and suggestions here! 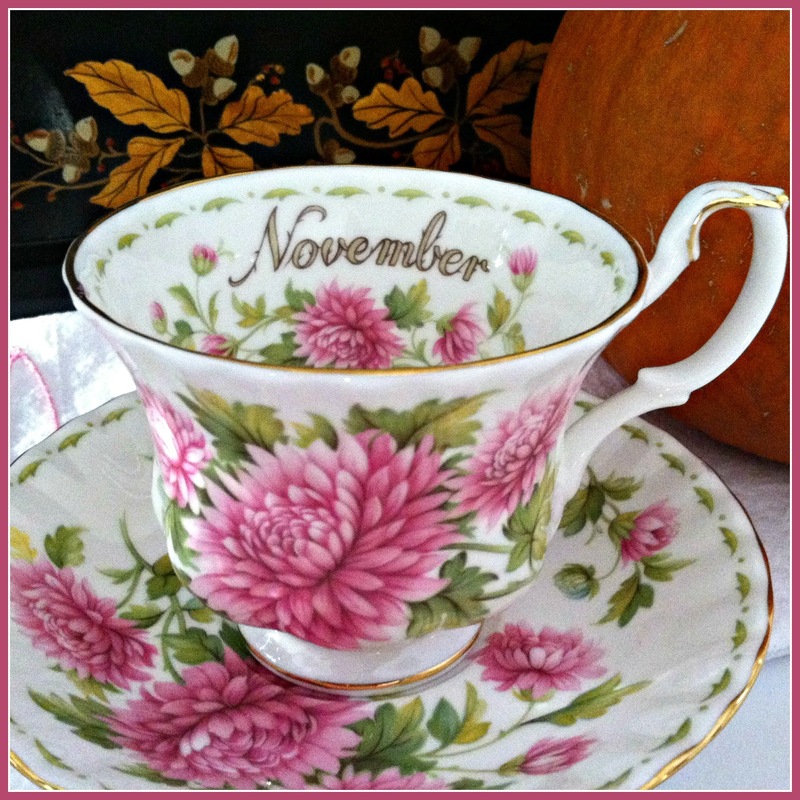 I love November's teacup! I would love to find one too as it's my second son's birth month. I really enjoyed reading your post. You are so right about everything you said. Quality time is best. As I shared in last week's post all I ever wanted to be was a mom and home maker. Now I realize that is not for everyone but that was my dream. I did a lot before becoming a stay-at-home mom expecting my first baby. Even though I was a great multi-tasker at the time, I knew in my heart that in order to be the kind of mom I longed to be, I had to be a stay-at-home mom, and I have no regrets. Those years have flown by too fast but I got to do what I dreamed of doing and I feel very blessed! Thank you for sharing from your heart and joining me for my new party. Have a beautiful day, my friend. What a lovely teacup and saucer! Enjoyed your post with comforting thoughts about home. Home is our sanctuary, our haven, as much as we can make it be. Sounds like a lovely party. I agree with your thoughts on home. This is such a beautiful post. The writer who once said that most people lead lives of quite desperation got it wrong. I think that most people lead lives of quiet inspiration. The smallest things we do with love for those around us can inspire and uplift. I had a friend who used to say, "If you come to my house just to see my house, give me some notice so I can clean it; but, if you come to see me, you are welcome any time." Your husband and your children are very lucky. Your lovely post reminds me of the quote, "A house is made of brick and stone. A home is made of love alone." This was so beautifully put. I remember similar holidays to your bed-rest Christmas. They stand out for the simplicity that let the love shine. That was a beautiful post, sweet friend! You and I are both lucky that we were able to enjoy the blessings of being a homemaker. Your family and friends must feel loved, safe and know that someone is there to listen, in your home. Such a beautiful, heart warming post, Deborah. I grew up with a mom who stayed at home and took great care of her family...there's nothing to compare. I was also fortunate enough to be able to stay at home with my boys when they small. I sometimes I wish I could go back and be a better homemaker and do many things different but I know that's just silly. Being at home with my family is where I wanted to be, and I am thankful for that. Your November tea cup is absolutely stunning! Loved your post and reading about your thoughts of home. Beautifully written ... many thoughts you share echo my own heart beat. 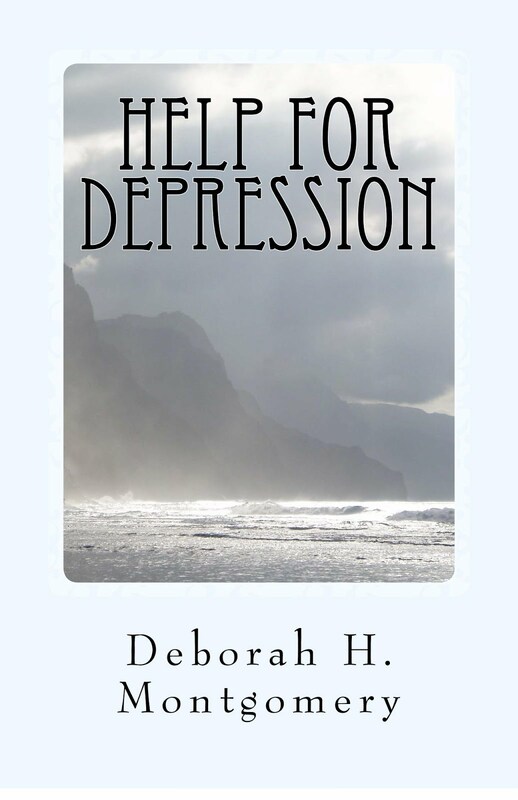 Such beautiful thoughts and memories of your own home Deborah. What a wonderfully comforting post. Thank you! You are such a gentle and wise lady and this is written from the heart! Yes you are so right about that. Perfection is something that almost always comes at a high price. One cannot do it all and indeed, a listening ear, a warm welcome and safe haven is what counts far more. Since January 2010 when I became paralyzed I have also learned how to let go, like you did on that Christmas with your three year old daughter. Let the rest be and just focus on each other and if we do count our blessings there are always many left for being grateful for. When I'm in the mood and really fit, I get a lot done but never at a cost of not being 'there' for one another. Dear Deborah, What a lovely post. So well written from your heart and so very true. Spending time with family and friends together is far more important then having the house perfect or the dinners gourmet. I have always said that too, people will never remember what you may have said to them, but they will always remember how you made them feel. Love the story from the Christmas when you were couch ridden! It is such a special memory. Your November tea cup in a treasure! I was saving this blog post all day, so when I got home just before bed I wanted to read it, I enjoyed it so very much... I love being a homemaker and being there for my family and a few friends! You made me glad once a gain for the Lord and my husband wanting me to be at home! Lovely post written from your heart about what really matters. Thank-you. Wonderful thoughts expressed through gifted writing. I very much enjoyed reading today. I loved reading this. Right on!